The “lore” of Skam is a huge part of its appeal. The story, as understood through the various “What is Skam?” articles floating around and the show’s Wikipedia page, is that there was no promotion done on the series, with none of the actors allowed to speak to the media. The show simply appeared, designed as something for kids to discover on their own rather than something sold to them by the media, or introduced to them in spaces their parents might inhabit. I am fascinated to know how those on the ground in Norway experienced this particular rollout, and how word of mouth functioned within it, but this strategy is very much specific to that context. As public service broadcasting, it didn’t matter how many people watched the first episode of Skam: the entire season had been commissioned, and therefore it had time to find an audience, and a mission—of discussing key issues facing young people—that might be worthwhile even if a small audience was watching. The show wasn’t promoted because there was no reason for it to be promoted, and what little press the show has done has been a victory lap of sorts, an acknowledgment that the show had become too large for them to ignore the media frenzy around it entirely. Once the show is removed from that context, though, could a U.S. version of Skam fly in under the radar in the same way? On a basic functional level, the show would be an adaptation of a successful overseas series, and therefore garner certain types of coverage from the trade press (building on the existing coverage). But so much of the way many of the channels or streaming sites I discussed in part two market shows is now built on hyper-saturation to stand out from the crowd, and could those rules be rewritten in a culture where celebrity matters considerably more? Two years ago, HBO shipped a collection of critics, celebrities, and cultural observers a box designed to introduce them to the world of Westeros. The box, which I wrote about in detail here, served as a sensory journey into what was at that point a new televisual universe, one HBO hoped would become a centerpiece of their brand identity. By sending the box out to “opinion leaders,” the hope was that they would share their experiences with the intricately crafted artifact with their readers or followers, setting the tone for a series sold in part on its lavish production design and attention to detail. 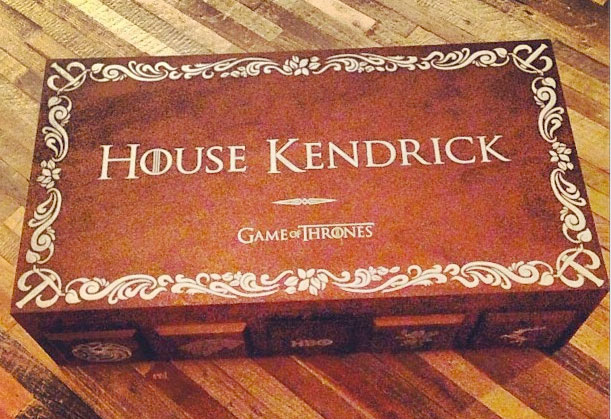 This month, HBO shipped a collection of celebrities a box designed to initiate them into the world of Westeros. However, the Westeros of 2013 is different than the Westeros of 2011. If the “Scent Box” of 2011 was designed as an artifact of the fictional Westeros, the various personalized “Influencer” boxes being sent to people like Mindy Kaling, Anna Kendrick, Bruno Mars, Jaime King, Patton Oswalt, Stephen Colbert, and Conan O’Brien are artifacts of the pop cultural Westeros. If the 2011 campaign was designed to establish the authenticity of Game of Thrones’ fictional world, the 2013 campaign seeks to reaffirm Game of Thrones’ status as a cultural phenomenon as its third season premiere beckons. However, the “Influencer Box” reflects broader shifts in how television success is measured: even since 2011, the perceived value of Twitter and other forms of social media has dramatically increased, even if the industry as a whole remains uncertain as to how to monetize that value. HBO’s decision to turn Game of Thrones loose into the world of celebrity self-disclosure reflects their belief that the best strategy to draw new subscribers is not just to promote the show itself (which they continue to do), but rather the idea of the show as a social media event. While the Influencer Box features the first two seasons on Blu-Ray, ostensibly encouraging those who receive or read about the box to watch the series, it also includes “exclusive extras which the owner can use on their social media sites to show off their fandom,” which HBO is now extending out to the “real fans” through a collection of site-specific giveaways on sites like WinterIsComing.net or Slashfilm. 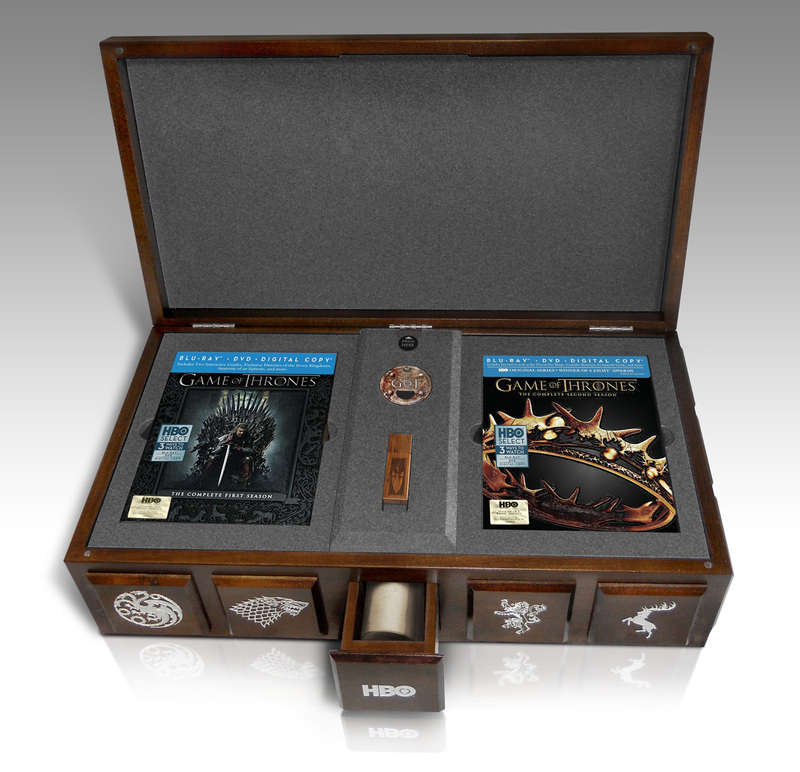 While reminding viewers about the third season premiere is the stated goal of the box— as demonstrated by the “scroll” that accompanies the box urging celebrities to promote the March 31st return date—the larger goal is informing the world that Game of Thrones is bigger than just a television show. As you may know, I recently joined the PhD program at the University of Wisconsin-Madison, which in some ways will limit the amount of online writing I am able to do (it’s why things have been a bit quieter here at Cultural Learnings as of late, especially with the Cultural Catchup Project). However, the irony is that although the volume of my writing will be decreasing, the outlets for that writing are actually increasing: I’m extremely excited to be joining Antenna, the department’s media analysis blog, as a contributor. I’m particularly excited because of how it allows for the merger of my two worlds: while the community consists largely of academics, the analysis is meant to cut through the traditional academic delay (where journals and books take years to get through the review/publishing process) to address current events similar to how online criticism operates. I very much look forward to exploring some of my more academic ideas within this framework, and encourage my Cultural Learnings readers to join that community and take part in a wide range of intriguing media-related discussions. Right now, my first post is on something that many of you may relate to. In “Tweets of Anarchy: Showrunners on Twitter,” I look at how Twitter and other forms of social media have changed the relationship between showrunners, their texts, and their viewers, focusing on Kurt Sutter (Sons of Anarchy) and his somewhat controversial Twitter presence. The piece, like all Antenna pieces, is short and focuses on providing some information and prompting discussion, so I’d love to hear how showrunners’ online presence have changed your impressions of your favourite series (or perhaps series that you were otherwise unattached to). …showrunners are now becoming active participants in conversations surrounding their shows, both formally (Damon Lindelof and Carlton Cuse’s Lost podcasts) and informally (Louis C.K.’s decision to wade into comment threads of Louie reviews); combined with their more prominent role in DVD bonus features and the proliferation of television journalism online, showrunners are becoming veritable celebrities among viewers of television. This is perhaps no more apparent than on Twitter, where showrunners (including Lindelof, Cuse, ,C.K., and numerous others) gain tens of thousands of followers who desire to know more about who is behind their favourite series. Next week, meanwhile, Antenna will be offering multiple perspectives on each of the Fall debuts (a project I’ll be participating in); I’ll likely share some of that as well, so stay tuned!